I drink several kinds of hot teas throughout the day, but something I've been doing for a couple of years now is drinking iced green tea. I've tried different brands and my favorite hot variety is Yogi Green Tea Kombucha. But it's kind of a pain to brew hot tea and then ice it. So I've grown fond of Wisdom of the Ancients Instant Green Tea. What I do is mix two teaspoonfuls with two packets of stevia in large pitcher and keep in the fridge. If I know I'm going to be away for the day, I'll fill my 27 oz. 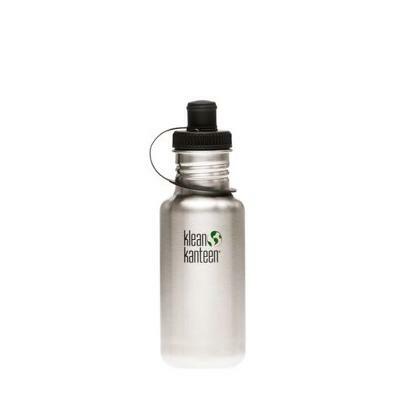 Klean Kanteen with ice - it has a wide mouth which is perfect for ice cubes - and then fill it to the brim with the my green tea. It's a great way to have iced green tea anywhere during the day, and the Kanteen cleans really well. Since it's stainless steel, you don't have to worry about the dangers of contaminants in plastics. I've been doing this for a while and it works really well for me.